Alfred A. Knopf, 1926. 1st Edition 1st Printing. Hardcover. Very Good/Good. 8vo - over 7¾ - 9¾" tall. Very Good/Good condition. First Edition, First Printing. Foxing throughout. Dust jacket chipped with large piece missing from lower outside front corner (see our photo). No markings to text block. 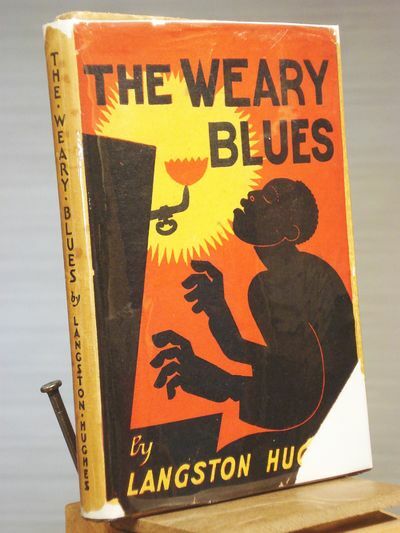 Inscribed by author on front free end paper "For Eleanor Hallowell Abbott, these Weary Blues, Sincerely, Langston Hughes, New York, July 19, 1926." This is the author's first book. Eleanor Hallowell Abbott was an American author of some note.